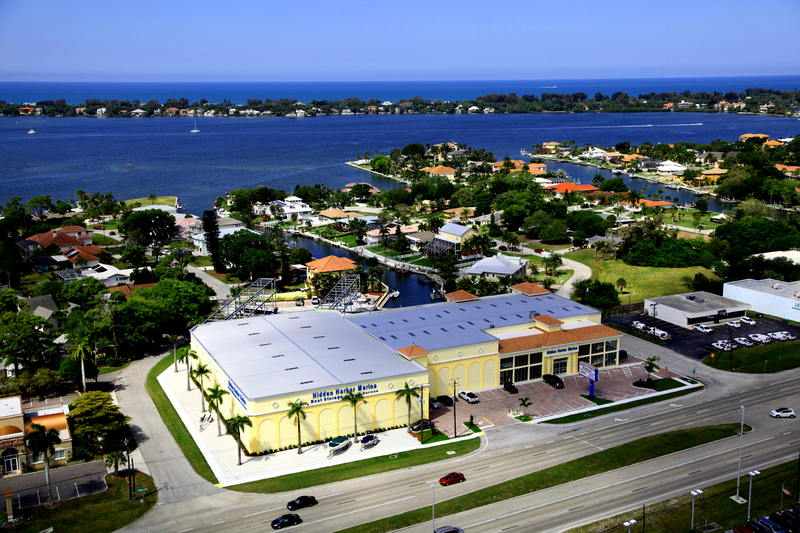 Welcome to Freedom Boat Club at Hidden Harbor in Sarasota, FL! Conveniently located in South Sarasota, Hidden Harbor is a brand new marina that features easy access to the gorgeous waters of little Sarasota Bay & Midnight Pass. Positioned just off of US 41, Hidden Harbor Marina will also feature additional amenities that are currently in the process of being built including a tackle and ship store, as well as an on-site seafood restaurant: Saltwater Cafe. With easy access to waterfront dining in Siesta Key, Midnight Pass, and Historic Spanish Point, member's dining and boating options are plentiful! The Blackburn Point Bridge is a historic swing bridge located near Osprey, Florida. Is it only one of three in the state and is listed on the U.S. National Register of Historic Places. It is a one-lane swing bridge located on Blackburn Point Road at the Gulf Intracoastal Waterway. This is a great fishing area and also a popular spot for photographers! Hidden Harbor is a great place to create many favorite and lasting memories.